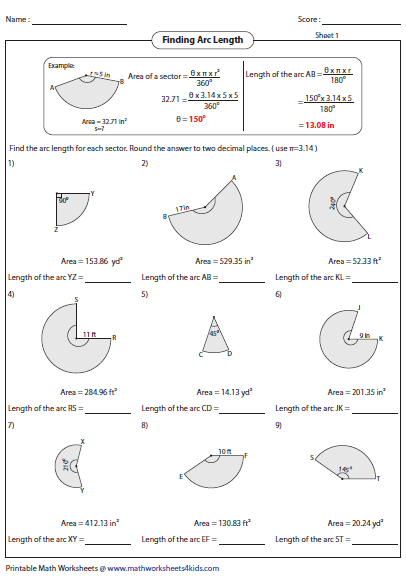 This page contains worksheets on finding arc length and area of sector using the known parameters radius and central angle. It also contains finding missing components from the sector using the known values. The missing components can be anything like radius, central angle, arc length or area of sector. 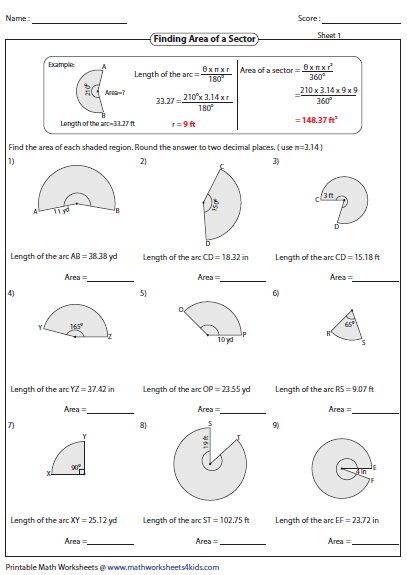 Each worksheet has 9 problems finding arc length of each sector. 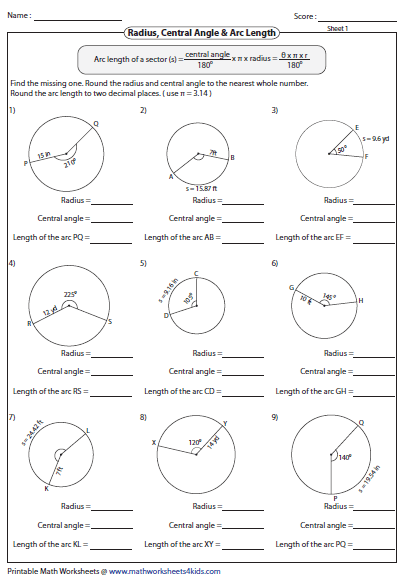 Radius and central angle are given for each sector. Applying the formula, find the area of each sector. 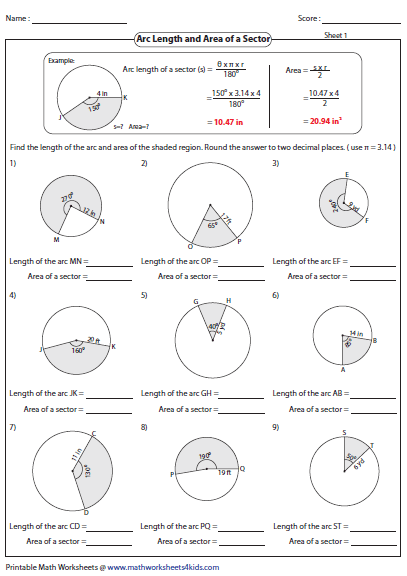 This section contains worksheets on finding both arc length and area of a sector. Use pi = 3.14. Round the answer to two decimal places. Each sector contains the area with either radius or central angle. 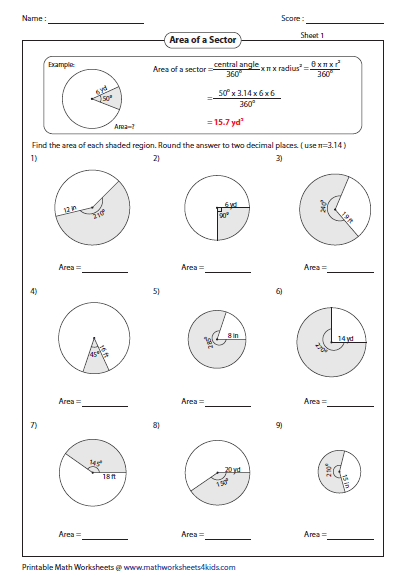 Find the arc length using the available information. 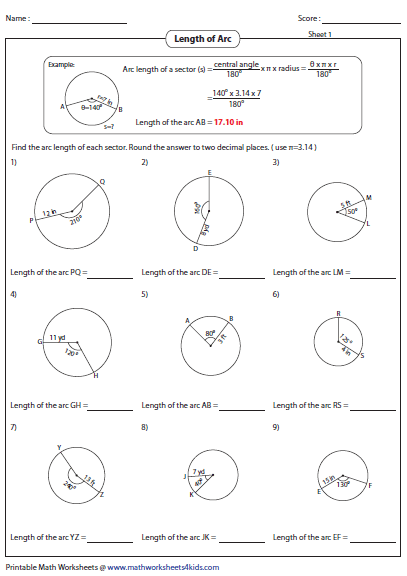 Each worksheet has 9 problems identifying area of a sector from arc length and one of the known parameters (radius or central angle). 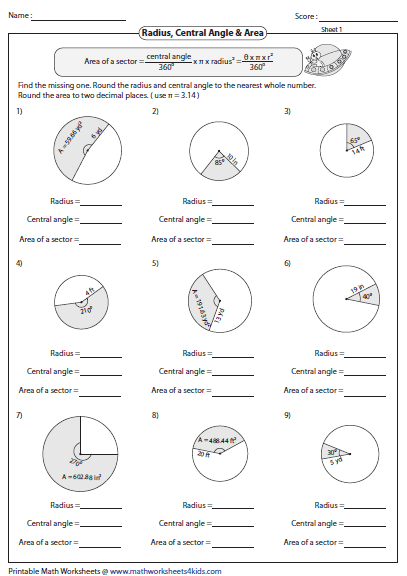 Each worksheet has 9 sectors with two known information out of three such as radius, central angle or arc length. Find the missing one. Find the missing one in each sector. This one based on area of sector.